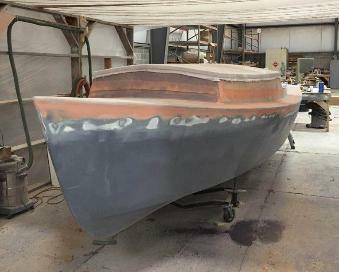 background, a Pelicano 18 Shrimper model. 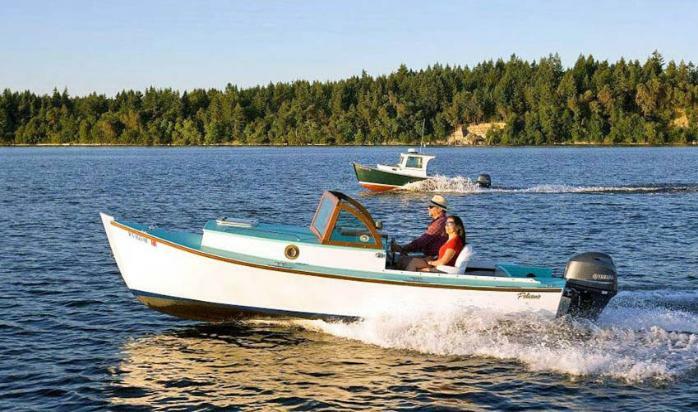 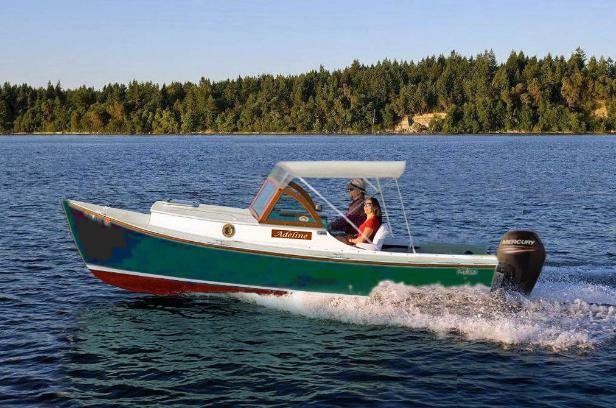 A 70-HP outboard powers these boats comfortably at 20+ knots. KELINA on the market last fall. 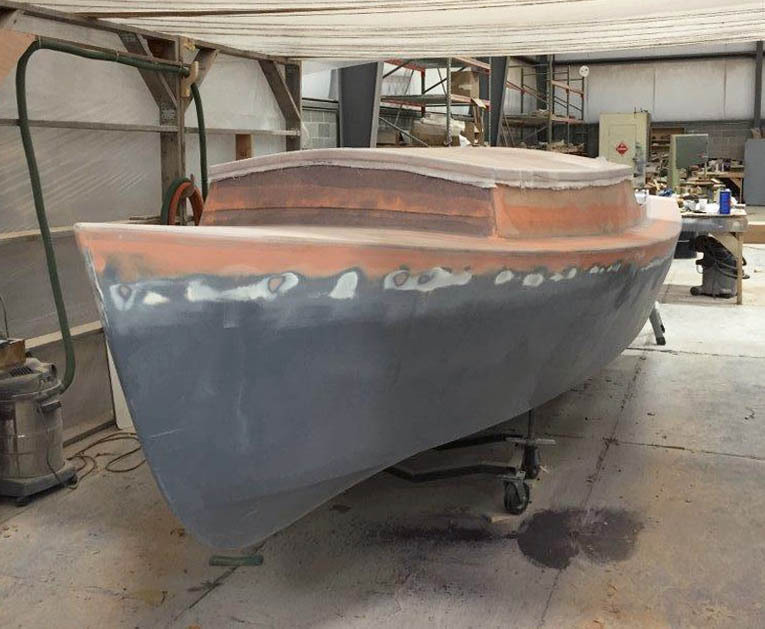 Boatbuilder's Show in March 2015. 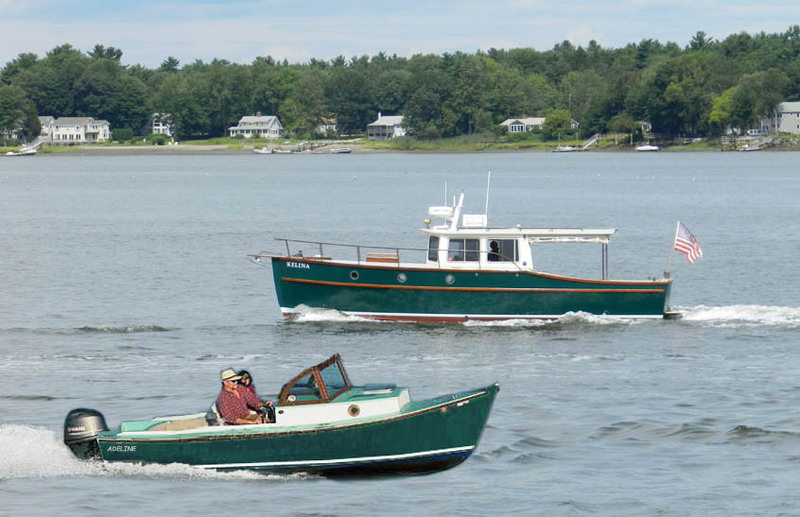 Big and small... Our KELINA with a Devlin Pelicano 18 Photoshopped in for comparison. A drawing I made based on Devlin's Pelicano 18 Bass Boat. 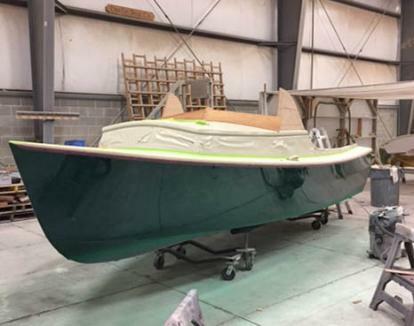 I stretched her to 20 feet for a larger cockpit. 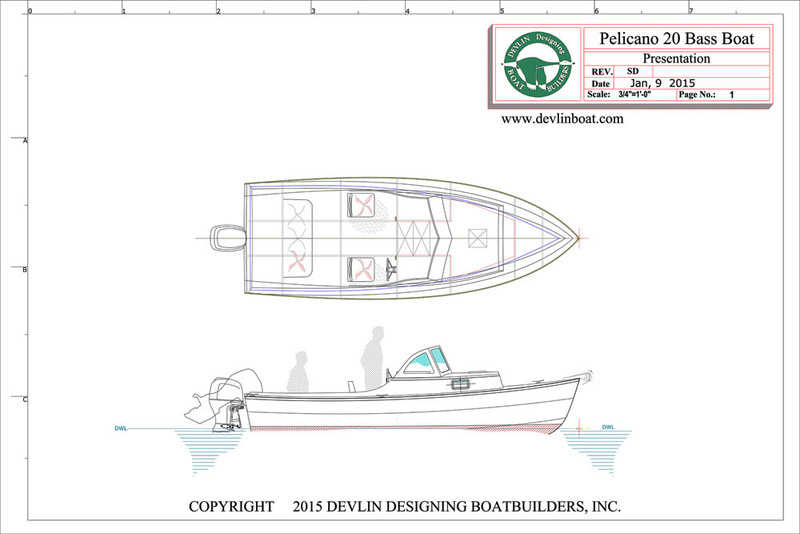 And this is the drawing that Sam sent me a few days ago of our new 20-foot Pelicano - to be named Adeline. 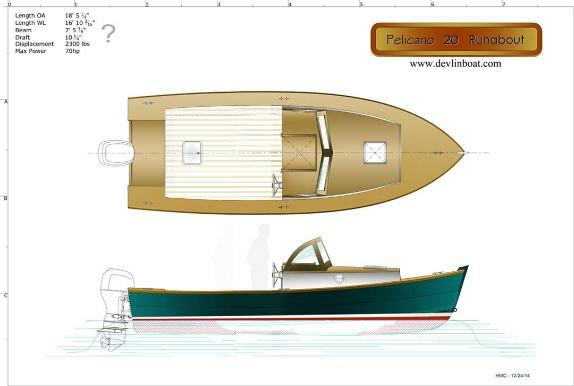 Click here to read Sam Devlin's comments on the Pelicano 18 design. ready in time for the Maine Boatbuilders Show in March. 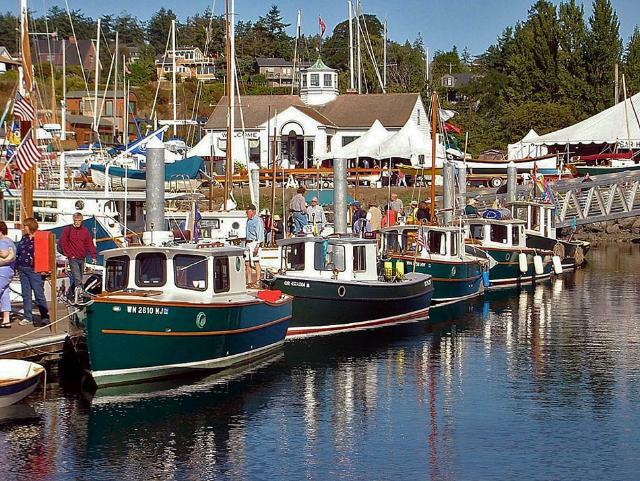 Seaport on June 26-28, 2015. 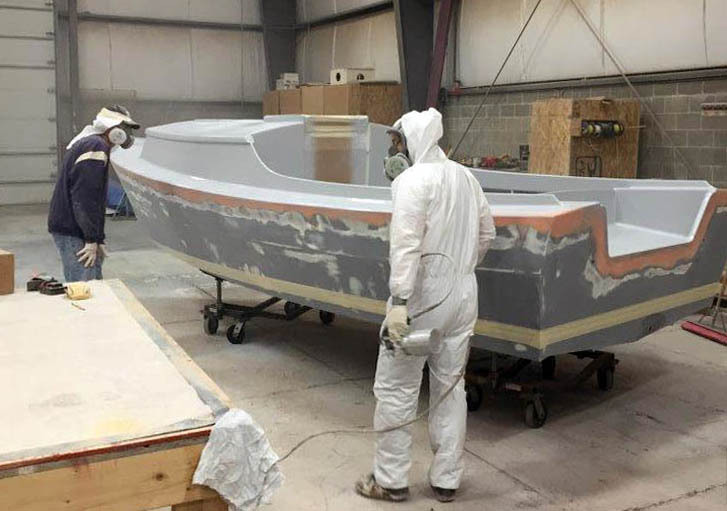 Painted Hull - another update from Sam... Sent March 24, 2015. Port Townsend, Washington in September, 2008.